In the distant future, mankind will make a mysterious technological leap forward, across space to a planet dubbed the Abaddon. A desolate wasteland bearing signs of a long-dead, non-human civilization, the land is rich with Feronium power crystals; a curious source of unimaginable energy. Possession of these crystals is the main cause of dispute between two groups of humans: the Satellite City-States and the Commonwealth Alliance. 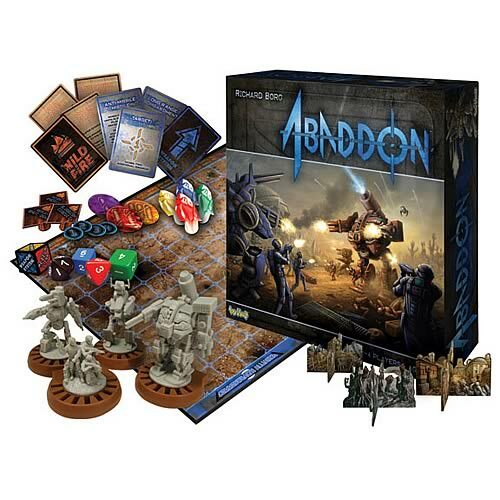 Using giant bio-mech suits made from modified military vehicles and alien technology, these two sides fight a never-ending war for territorial control of the Abaddon.